On November 2nd, 2016 the Chicago Cubs captured their first World Series title since 1908 by defeating the Cleveland Indians in Game 7! 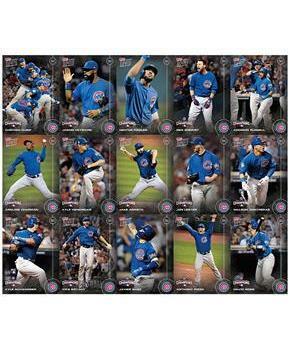 To celebrate, Topps released a special 15-card World Series Team Set for one week only on Topps.com! Print run of 6,636 cards. 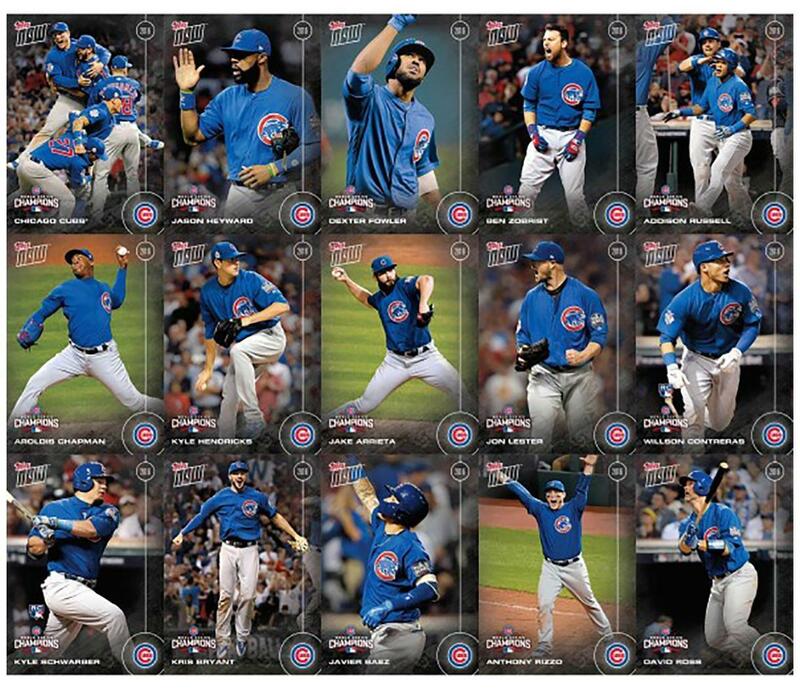 Set includes Chicago Cubs Team Card (WS-1), David Ross (WS-2), Anthony Rizzo (WS-3), Javier Baez (WS-4), Kris Bryant (WS-5), Addison Russell (WS-6), Ben Zobrist - MVP winner (WS-7), Dexter Fowler (WS-8), Jason Heyward (WS-9), Kyle Schwarber (WS-10), Willson Contreras (WS-11), Jon Lester (WS-12), Jake Arrieta (WS-13), Kyle Hendricks (WS-14), and Aroldis Chapman (WS-15).